Welcome to the Spring 2016 issue! I hope this finds you with the energy and passion to finish those last few weeks of the school year. This issue took a little longer than normal to get to you, but I promise it was worth it! It is FILLED with wonderful content from all of you, the PCTELA Professional Family! Enjoy the summer and please continue to submit for future newsletters! It is hard to believe that the 2016 PCTELA conference is only five months away. I have been working on this for a while and now it is down to crunch time. In case you haven’t seen, here are some details about the conference. This is little different but also exciting for us. We are looking not only at how teachers use writing in their classrooms to help students express themselves and tell their stories, but also how other professions use writing as well. Imagine incarcerated women sharing their stories. Powerful. Imagine doctors writing with their patients to help figure out a plan of action for their treatment. Both of these will be discussed at the conference. Date: October 14 – 15. Where: The Penn Stater Conference Center, State College. A beautiful place at a beautiful time of year. Great speakers are lined up to share their stories with us. First we have Sharon Draper. If you are familiar with her work you know what a dynamic writer she is. Her stories touch the hearts of those who read them. Sarah W. Bartlett will also be featured. Sarah works with incarcerated women in Vermont. She has gathered the stories these women wrote and compiled them into a book. These are emotional writings filled with anger, hope, and joy. Truly an uplifting read. If you are familiar with the Freedom Writers you don’t want to miss hearing Marcia Nelson. Marcia is one of the original Freedom Writers who helped develop the Freedom Writers Institute. We also have Christopher Bolin speaking. Chris is the founder of the literary and arts magazine, Resistance Journal. But why not do more than just attend the conference. Become a part of it my putting together a session. All of the information and forms can be found at our website, pctela.org. 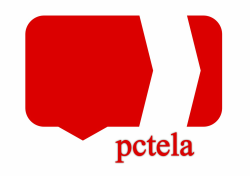 Each PCTELA member will be eligible to request six (6) student certificates per school year. The certificate would honor the student for an outstanding effort in the English Language Arts. The teacher decides on the reason for the award and the student to receive the award. Students in grades K-12 are eligible. Just complete the Certificate request form and a beautiful, personalized certificate from the PCTELA will be mailed to the teacher for each student. The request period will be from October 1 to May 30 of each school year. What a wonderful way to say “Great Job! !” to your students. Order your “Certificate of Merit” for outstanding work in the English Language Arts for your students today by an email to: rahal.barbara@gmail.com! “Planning a short story…” Do you plan it? For me, the goals and language evolve as I start to write—and also later. I always revise as I write, after I have written, and when I am typing the final version (if I have written drafts in longhand). Yes, I can create a theme or two, a couple symbols, a setting, etc., if I am so inspired before I begin. However, I usually start with a general idea and just begin writing. I also give myself prompts and challenges. I could say, “Three characters, one major conflict, pizza, and dog barking.” I might also challenge myself by saying, “the title or the first sentence will be ‘Jeremiah fell off his bike in the same spot as yesterday.” There is no big reason for that particular sentence, by the way. I just happened to see a kid get on a bike here, in front of this discount store where I am writing in a spiral notebook and drinking a soda pop. Two women are strolling by me on their way into the store, and they are speaking Spanish. It sounds like Mexican Spanish. Maybe all these people will be in my story. Mrs. Gomez was telling Marisol how dangerous the beach had gotten. “Before, we could come here and not be bothered,” she explained. She shifted the grocery bags and shuffled the pizza slices, handing a big one with green peppers on it to her niece. Jeremiah sped down the sidewalk on his new bike, getting ready as he saw the two women talking and laughing by the lake. He headed right for them, grabbing the girl’s purse as he went by. He wobbled a little, trying to stay upright while she pulled back on her purse. Suddenly, he veered off the sidewalk and into the sand. Immediately, the front tire dug in. “Damn!” the boy yelled, as he flew over the handlebars. Marisol ran up to him, screaming, “I want my purse back!” She grabbed it and when she turned around, she saw the German Shepherd bounding down the beach, heading straight for the boy. Instead of taking his dog for a walk in the correct fashion, Jeremiah decided to ride his bike and hold onto the leash while the dog ran alongside. Wolfy barked at every bird and squirrel in the park. He was sporting his new collar and his little red jacket. There were two women speaking Spanish. They waved as he went by with the dog. Jeremiah recognized one of them. “Hola, senora Gomez!” he yelled. “Hola, senor!” she offered back, bowing formally as he passed them. She knew the boy from church. Dreaming of pepperoni, Fido was jolted awake abruptly by the lightning and thunder. He backed further into his house and looked over at the patio. Mrs. Gomez and Mrs. Herrera were chatting about their jobs at Greshams. “In June, I am moving back to menswear! En junio! I am so thrilled!” Mrs. G. said with great joy and enthusiasm. “Darn!” Mrs. H. exclaimed, “It always has to rain on my day off!” She pulled her sweater around her more tightly. Then she started to sip on her coffee. Jeremiah rang the bell and stepped back. The dog started barking right away. “De nada,” Mrs. G. said, recognizing the Jacobson boy from over on Magnolia Street. The boy just stood there, though, and did not move. She looked at him and smiled, wondering what he wanted. He was looking at the picture in the gold frame on the shelf. He stared and stared. “No!” he blurted out and ran for his bike. He jumped on it and almost couldn’t remember how to peddle. His foot kept missing its target and he was starting to cry. Bang! Boom! The lightning and thunder started up again. Jeremiah peddled as hard as he could to get out of there. The dog was going crazy now, barking and jumping around in circles. He broke his chain and lunged out of his doghouse. By the time Jeremiah reached the white house on the corner, the dog had already gone over the fence. The rest of the story depends on a variety of factors, but it follows in the same vein and style (I hope) as the beginning. The end is often hinted at in the first few lines. Drawing on how I was taught to give students “prompts” to write about, I am able to challenge myself. Sometimes, I ask friends or colleagues to fill in a grid with ideas left blank for them to fill in. I have gotten some crazy prompts and challenges from that exercise. Right now, though, I need to look for my pizza slices again and also figure out why the dog looks so darn sick. The Play's the Thing - From the PCTELA News Blog! ​I've recently decided to read more plays for pleasure reading. And why not? After the successful adaptation of Alison Bechdel's Fun Home and the recent performance of the Hamilton musical number at the Grammys, it seems plays (and musicals) may be back en vogue. The benefits of reading plays in my downtime are plentiful. I can read most plays in one short sitting, usually an hour or less. It feels like a more intense, more raw experience. Driven by dialogue, plays contain characters who must define themselves with what they say (or don't say). There can be no reliance on long narrative explanations––they must speak for themselves. I am increasingly awestruck at playwrights who can create depth of character in such short space. Plays, like novels, capture the zeitgeist of a time, but the method of doing so illuminates the mannerisms of the people portrayed in quick brushstrokes. Annie Baker's The Flick, a 2014 Pulitzer Prize winning play started me off on this kick (thanks to my department head for the copy of the play). Recently I've devoured Eve Ensler's Necessary Targets, 2003 Pulitzer winner Nilo Cruz's Anna in the Tropics, and Margaret Edson's 1999 Pulitzer Prize winner, Wit. If you're looking to challenge your reading and expose yourself to a quick, satisfying story, consider reading modern plays. So step aside from the Shakespeare for a while, and read the bards of our time. See this link for more plays! ​The general idea behind No Child Left Behind was fairly simple. We wanted every child to be able to add & subtract and read & write with a basic level of competency. That made a lot of sense. The initiative then went on to say that each state needed to come up with some way to measure students’ abilities to do these things. So the state of Pennsylvania came up with the Pennsylvania System of State Assessments, otherwise known as the PSSA. The portion of the test which measures reading comprehension is similar to most reading tests: a series of passages followed by some multiple choice questions. In 2012 the state added the Keystone Exams which measure students’ mastery of algebra, literature, biology. At first, I was just fine with this. The Keystone Literature Exam looked like a criterion referenced test. A criterion referenced test basically identifies what content students should master and then tests to see if they have indeed learned the material. As a teacher, I liked this. It’s clean and simple. Tell me what you want my kids to know, and I’ll teach that and make sure they know it. So my colleagues and I dutifully went to the website of the Pennsylvania Department of Education (PDE) and got as much information about the Keystone Literature Exam as we could. We made lists of the terms that the test developers thought our students should know. The majority of these terms were ones that we already taught. The ones we didn’t hit, we just added to our curriculum. The other thing that we did was take a close look at the items that were created for the test. There were fiction and non-fiction passages that ranged from 2-3 pages. Then students answered a series of multiple choice questions followed by a “constructed response item” that required students to write out an answer. The questions tended to center around certain “skills” that the test developers thought students should master. The skills included things like recognizing the author’s purpose; being able to make inferences or predictions; and grasping the main idea of the passage. As English teachers, we thought we dealt with these “skills” every time we taught a novel or short story, but in order to make sure we thoroughly covered what the state deemed as “eligible content,” we started changing our unit tests and major exams to mimic the style of the Keystone. We weren’t trying to “teach the test.” In fact, you can’t “teach the test” unless you somehow have copies of the exact items beforehand which is quite unethical and will cost you your teaching certificate. Not worth the price. However, we were “teaching to the test” in so far as we wanted to acclimate our students to the test item format. Perhaps a better way of saying it was that we were just familiarizing students with the Keystone. Personally, I didn’t really care what my unit tests looked like, as long as my kids read and understood the novels and plays that we studied together. But as we continued to tweak our curriculum and some of our teaching and testing methods, I began to have some serious concerns about standardized tests in general, and the Keystone Exam in particular. A criterion referenced test is concerned about measuring how well students have mastered the curriculum. When a state uses this approach, they create cut-off scores to indicate whether or not a student has mastered enough of the material. These cut-off scores can be represented as raw scores or percentages or what are called scale scores. They’re all pretty much the same. What’s important is where they draw the line. For the Keystone Literature Exam, the cut-off scores can be found in the table above (“Keystone Exams,” 2011). These are the scaled scores which are based upon students’ raw scores or how many questions that they answered correctly. The scale scores are followed by the percentage of students who fall in each category. In No Child Left Behind, the idea is to push every student over the line into the proficient and advanced side. But here’s the problem. Half of the students are always going to be found below the cut-off line. The reason why is that when items are created, they have to differentiate among the students. If the item is too easy and all of the students get it right, then we can’t distinguish between who’s proficient and who’s basic. In fact, I can raise or lower the number of students who are able to read and comprehend the passage by giving harder or easier questions or passages to read. If the passage is easier, then more students comprehend it and are then able to make inferences and predictions and generalizations. If I give students a more difficult passage, then more students will struggle with the questions and get lower scores. An example of a sample passage that was released by PDE can be found below. It comes from a novel entitled Emma by Jane Austen first published in 1816.
disposition, seemed to unite some of the best blessings of existence; and had lived nearly twenty-one years in the world with very little to distress or vex her. She was the youngest of the two daughters of a most affectionate, indulgent father. Her mother had died too long ago for her to have more than an indistinct remembrance of her caresses; and her place had been supplied by an excellent woman as governess, who had fallen little short of a mother in affection. The novel Emma is widely acclaimed as a classic (it’s never been out of print). You’ll sometimes find it being taught in AP English classes and most likely at some of the more exclusive prep schools in the country. However, my high school is in the middle of a cornfield. I’ve never taught Emma, and I have a funny feeling that if I assigned it, I’d be the only one in my classroom who would actually read it. The passage from Emma is not atypical. The folks at PDE have published a list of “eligible content” which consists of literary works and speeches from which they take a lot of their test items. When you peruse the list, it looks like it was drawn from E. D. Hirsch’s book Cultural Literacy (1987). This may not be a bad place to start if you’re a classicist because most of the works on Hirsch’s list were written by dead, white, European males. And the nice thing about making literary selections from the classics is that the state doesn’t have to be very concerned with copyright laws. Once the authors have been dead for 45 years, their works become public domain, and a lot of these authors have been dead for a very long time. Buy if the state’s goal is to see if my students can read a passage and make a prediction or a generalization or an inference, then does it matter so much where the passage comes from? Can I accomplish the same goal by selecting passages from something more current or from something that my students would actually read? We were all standing in line waiting for breakfast when one of the caseworkers came in and tap-tap-tapped down the line. Uh-oh, this meant bad news, either they'd found a foster home for somebody or somebody was about to be paddled. All the kids watched the woman as she moved along the line, her high-heeled shoes sounding like little firecrackers going off on the wooden floor. Shoot! She stopped at me and said, "Are you Buddy Caldwell?" I said, "It's Bud, not Buddy, ma'am." She put her hand on my shoulder and took me out of line. Then she pulled Jerry, one of the littler boys, over. "Aren't you Jerry Clark?" He nodded. "Boys, good news! Now that the school year has ended, you both have been accepted in new temporary-care homes starting this afternoon!" Austen’s novel comes in at about 990 Lexiles, a measurement of reading difficulty based upon the Lexile Framework. Bub, Not Buddy (1999), a Newbery Award winning young adult novel by Christopher Paul Curtis, comes in around 950 Lexiles. From comparing the sample above from Curtis’s novel to the sample from Emma, it’s fairly evident that the contemporary young adult novel is more accessible. Austen’s novel is filled with arcane terms that will not be familiar to many of today’s young readers: gentility, chilblain, approbation, yeomanry, quadrille, vicarage, and apothecary, to name a few from the first few chapters. I’m not interested in poo-pooing Austen’s works. There’s a place for her novels. I would expect her works to show up in any AP English class, but I wouldn’t subject my 9th grade general students to tackle these texts. And there are a lot more 9th grade general students out there than there are AP students. The bottom line is if the Keystone Exam is actually designed to see if students can identify the main idea of a passage or the other skills identified by the test, then is it reasonable to select passages that are more accessible? And of course, all of this is predicated on the idea that one can test individual skills in the first place, and this brings me to my second concern. When I learned to ride a bike, I remember my dad putting me up on the seat and giving me a push to get started. He then ran alongside of me and caught the bike if I started to fall over, but eventually, I was able to keep the bike upright and pedal away. This is a pretty typical scenario on how most kids learn to ride a bike. But for some reason, ever since Skinner started playing with rats, we have had this tenacious habit of breaking everything down into its component parts and then teaching them to children one by one. This approach actually does work well for some things, but not necessarily for all things. Reading comprehension might very well be one of those abilities where a “skills approach” isn’t quite effective. What this suggests is that comprehension may be more of a holistic ability. It’s not one of those constructs that can be successfully dissected and taught as a series of discrete skills. And even if it could be broken down into discernible skills, teaching those skills individually may not be of much help. This was discussed by Ron Carver, a leading expert in the area of reading assessment. After conducting a meta-analysis of the research in this area, Carver (2000) concluded that it is possible to teach specific skills to students if you want to improve their performance on a particular type of test item. However, that’s where the benefit ends: “(W)hen students are given a specific reading task, such as answering main idea questions, they can be instructed or trained to answer these questions better with guided practice, but there is no evidence that this skill will transfer to more global reading comprehension skills.” In fact, he goes on to discredit this kind of approach to teaching reading. “Therefore, if educators are most concerned with helping students become better comprehenders in general, as is commonly measured by standardized tests of reading comprehension or informal reading inventories, there is no evidence that the currently touted instructional practice are beneficial (1987, p. 124). President Obama recently rescinded No Child Left Behind as a federal initiative and placed the onus of responsibility to raise the literacy rates on the backs of the states. This means that whatever Pennsylvania and the other state governments decide to do is going to be more critical. If the Keystone Exam is supposed to be a criterion referenced test, then provide students with passages that they can relate to, are interested in, and are similar to what they’re reading so they can prove what they can do. The state can go on asking questions based upon specific skills if this helps develop a variety of test items. Just don’t turn around and start demanding that teachers teach those specific skills. What will happen is that language arts instructors will revert to a drill and kill approach to teaching. Workbooks with sample passages and worksheets will dominate much of the time that was once devoted to reading and the teaching of literature. If the state wants to encourage student growth in reading and literacy, then they might do well to follow the example of Nancie Atwell. Atwell is a big proponent of the reading workshop. Here students self-select their novels and spend a lot of time reading. Let’s face it, the bottom line is if you want to improve students’ reading ability, then you need to get them reading. Atwell sums it up well: “the path to fluent reading is regular, voluminous, silent reading.” And students are more apt to read books that they self-select, that they enjoy, and that they can relate to. Third, if the Keystone Exam is supposed to measure students’ reading growth, then the test needs to be put on a continuous scale of some sort so that students, parents, and teachers can see that growth over time. As it stands now, both the PSSA and the Keystones report scores using the ordinal groupings of below basic, basic, proficient, and advanced. This doesn’t tell us how well the student reads nor does it tell us if the student has shown growth in the area of reading comprehension. If every year a student falls below the cut-off line in the basic category, there’s no indication that there has been any growth from one grade level to the next. If my child scored below basic, I’d like to know, “So, how bad off is he?” There is no grade level equivalent nor do we know what he can read or what he should be reading. What is needed is an assessment that has a continual scale so that growth can be demonstrated and monitored over time. The only tests that I know of that are available are the Degrees of Reading Power, the Lexile Test of Reading Comprehension, and the Scholastic Reading Inventory. The last two are based upon the Lexile Framework. Basically, the difficulty of a book and the reading ability of a student are on the same scale measured in what are called Lexiles. This way, I can match students’ reading abilities with books that are on their level. Perhaps the state of Pennsylvania would be better off going back to using the PSSA as their test of reading because it is administered again and again as a child goes through the school system. However, the PSSA might benefit from being linked to the Lexile Framework so that there is a scale of continual growth. Just telling me my kid is proficient year after year doesn’t tell me “how tall he’s actually getting.” It just tells me he’s tall enough. habitual, critical readers. New York: Scholastic. Austen, J. (1816). Emma: A novel. London: John Murray. National Reading Conference. Rochester, NY: National Reading Conference. Curtis, C. P. (1999). Bud, not buddy. New York: Delacorte Press. Drahozal, E. C. & Hanna, G. S. (1978, February). Pretty bottles for ordinary wine. Journal of Reading. Vol. 21 (5). 416-420. As a teacher educator, I work hard to promote literacy in every class I teach. Therefore, whether I am teaching an Introduction to Education course, Diversity Course, Curriculum Course or Family Engagement course, I always advocate for the literacy of males. This may seem odd. However, if you are familiar with any statistics pertaining to literacy you know that the literacy rates for boys are far lower than the rates for girls. Therefore, ensuring that there are books of high interest for boys is imperative. Each class I teach, I require that teachers evaluate the website boysread.org. This website was started by author Jon Scieszka to start a revolution of reading high-quality books for boys. The site features books recommended by boys and the educators that teach them to read. Additionally, I require my students to read Banned Books, Controversial Books, Diverse Books, and books with males as the main character. This is necessary in order to change the way teachers think about selecting books and to ensure that the books selected are texts boys will actually read. I normally require the preservice teachers read humor, mystery, adventure, horror, comic books, and award winning books. My hope is to educate future teachers about the vast array of books available for readers. As educators, the power is in our hands to ensure that every child becomes a lifelong reader. Fostering that love can create a new nation of literate individuals with the ability to be empathetic, knowledgeable, grounded, imaginative, and thoughtful. Founding Sons: Why You Should Know about Hamilton. ​If you are a theatre geek or just tapped into pop culture, you’ve probably absorbed just how dynamic and important the musical Hamilton is. Maybe you’ve seen the actors on the Grammys, on You Tube, on your high school students’ devices. You know the sitting U.S. president and first lady have been two of the biggest promoters of the show and its way of rethinking the meaning of our nation’s perspective on its early history. Hamilton, the musical currently on Broadway, is Lin Manuel-Miranda’s rethinking of Alexander Hamilton’s life story as a relevant, stylistically contemporary musical about one of the more controversial founding sons of the United States of America. In Manuel-Miranda’s show, the music makes use of hip-hop, soul, and R&B styles that could easily be heard in the playlists of many young people in our secondary and middle grades classrooms. Hamilton and his peers that are represented in the show’s story are dynamic, youthful, revolutionary, immigrant contributors to the ferment and change that drove America’s break with Britain and political processes in forming the nation. As presented in the show, Alexander Hamilton is also an almost-compulsive freedom writer, an orphan who writes to be known, to be a contributor to the world, to achieve something noteworthy before he dies. Always aware of the precariousness of his life due to the family losses he experienced in his youth, Hamilton is rapier-witted, insightful, and tireless in his pursuit of what he believes. He differs from his counterpart Aaron Burr, who prefers to “talk less, smile more,” and conflicts with Thomas Jefferson, represented in the musical as a bit of a political player, someone who has mastered the moves needed to rise in the turbulent personal and political climate of the early American republic. Hamilton also has a significant relationship with his mentor, George Washington, someone who attempts to elder the brash young man, sometimes in ways that create conflict and sometimes in ways that truly help him mature. On many levels, the show is a youth-oriented intervention in the story of the country’s beginnings. Yes, the emphasis here is on founding sons and all the growing pains they experience. (The show finds interesting things to say about its founding daughters as well, through its presentation of the three Schuyler sisters, young women whose interactions with Hamilton and his peers are presented as an unrecognized complement to the thinking and passions of their more-recognized brethren.) It’s also a rethinking of America as an immigrant nation in two distinct ways. Within the play’s story, the show underscores the roles played by characters who are fresh from somewhere else and aware of the importance of this revolutionary governmental experiment. But perhaps most radically, the show comments meta-theatrically on how we might re-think our telling of stories about American origins through its casting of a multi-ethnic/multi-racial group of actors who artfully bring their feel for contemporary diverse cultural styles of characterization and music into the way this story is told on stage. It’s also worth noting that the play focuses its rethinking of America on New York, not typically the city chosen as the scene of our national beginnings. There is lots more one could say about this show. Unfortunately, the show’s success has made it almost impossible for most of us to get a ticket. But take heart: a national tour may be starting in the not-too-distant future. So mainly what I want to tell you is this: Don’t wait until you can get a ticket to see the show. Go onto Amazon, buy the original cast recording, and listen. I know you’ll find something in the show that will give you new ideas about how contemporary performing arts can speak to young people in ways that they will both enjoy and be changed by. And while Act I of the show will give you a new way of thinking about what youth can do on the historical stage, Act II will move you with what happens as young people grow older and face the complexities that follow.